Lethabo Mokoena is a young entrepreneur who is playing a role in changing the unemployment situation in his home surroundings of Daveyton, Ekurhuleni. It was after he returned home from completing a degree in Corporate Communication at the University of Johannesburg in 2015 that he realised the importance of building at home first. 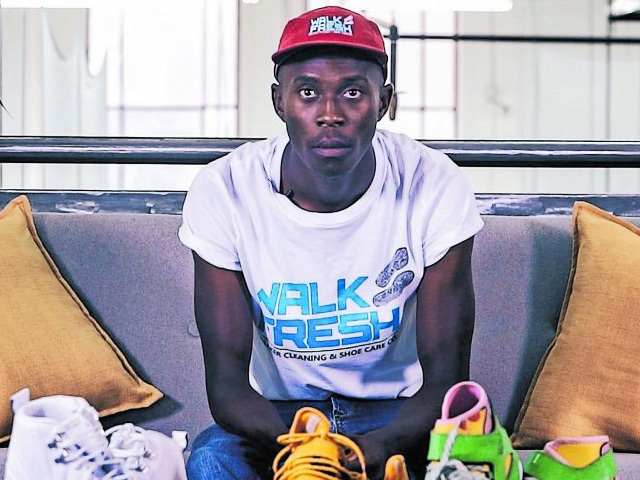 Sneaker culture is an institution in South Africa, and people are often sensitive about mistreating their valued shoes. Walk Fresh is a sneaker-cleaning and shoe-care start-up, which hand washes your precious shoes, while also offering deliveries as well. Demand is steadily growing, and in addition to the flagship store in Daveyton that also serves as a workspace for young entrepreneurs, Walk Fresh drop-off points can be found at laundromats in Edenvale, Fourways and Randburg, and another store will be opening soon in Durban.